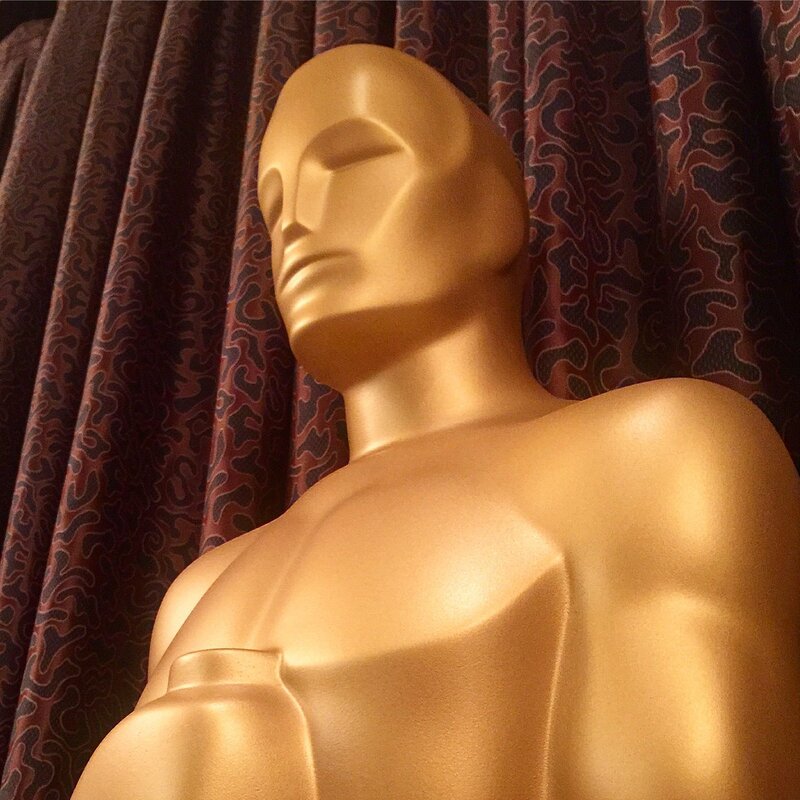 Congrats 33 winners of this year’s 11 Science and Technology Awards, given by the Academy to recognize achievements in science and technology used in filmmaking. – Tweak Software RV system, is a highly extensible media player system for review and playback with comprehensive APIs. Jim Hourihan, Alan Trombla and Seth Rosenthal. – Dolby Laboratories PRM Series Reference Color Monitors allows presentation of vivid color images in film. Trevor Davies, Thomas Wan, Jon Scott Miller, Jared Smith and Matthew Robinson. – ILM Geometry Tracker lets your digital and live-action interactions look better, and is integrated with ILM’s other animation tools. Ronald Mallet and Christoph Bregler. – DreamWorks Animation Media Review System lets animators studio-wide to playback and interactively review animation. Richard Chuang, Rahul Thakkar, Andrew Pilgrim, Stewart Birnam and Mark Kirk. – Aircover Inflatables Airwall: inflatable walls to which green screens are attached, that can be erected on location, saving time and money of hiring cranes to stack shipping containers or hiring constructing workers to build wood frame backdrops. 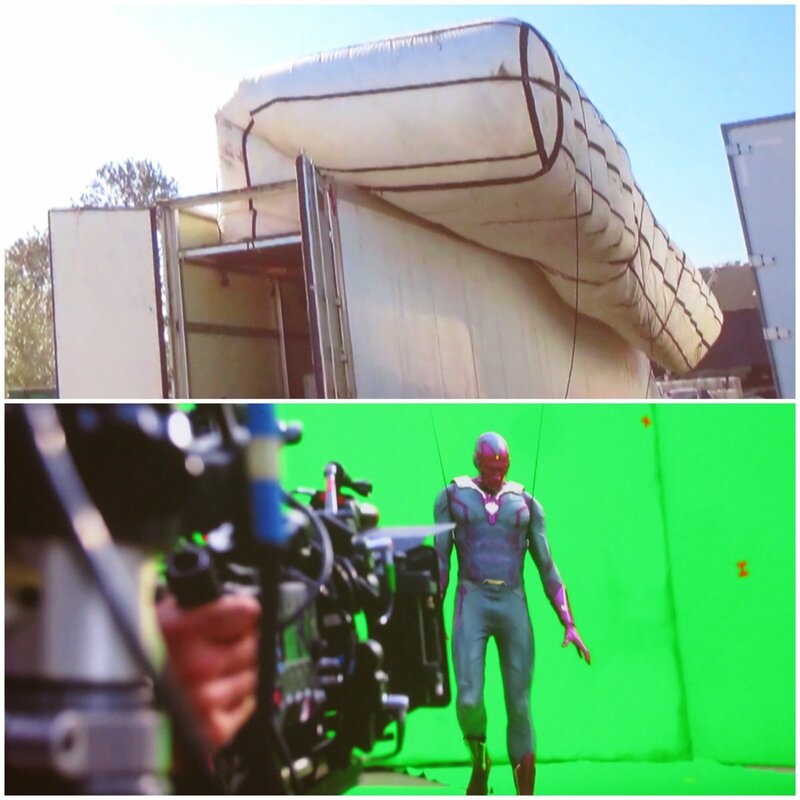 The Airwall was used in films including Avengers: Age of Ultron, Paddington, and other films. David McIntosh, Steve Marshall Smith, Mike Branham and Mike Kirilenko, said that as set grips, they thought there should be a faster way to set up walls during production, so they invented it. They said grips rarely get recognized for the work that they do, so it was an honor to receive this award. – Rhythm & Hues Global DDR System enables a recordable workflow and an efficient, collaborative content review process across multiple sites and time zones. Winners Keith Goldfarb, Steve Linn, Brian Green and Raymond Chih said that while Rhythm & Hues is no longer around, it’s gratifying that the DDR System has been recognized. – Sony Pictures Imageworks Itview provides a creative review environment that can be used internationally so animation teams across time zones and cities can collaborate. Itview include extensive editorial and playback tools. J Robert Ray, Cottalango Leon and Sam Richards. – MARI 3D texture painting system simplifies working with large, high-resolution texture sets. It has achieved broad adoption in the visual effects industry, often supplanting long-term in-house systems. Jack Greasley, Kiyoyuki Nakagaki, Duncan Hopkins and Carl Rand. – Laika 3D printing improves character expressiveness, facial animation, motion blur and effects animation in stop-motion film. Through highly specialized pipelines and techniques, 3D printing capabilities have been harnessed with color uniformity, mechanical repeatability, and the scale required to significantly enhance stop-motion animated feature films. Brian McLean and Martin Meaner. 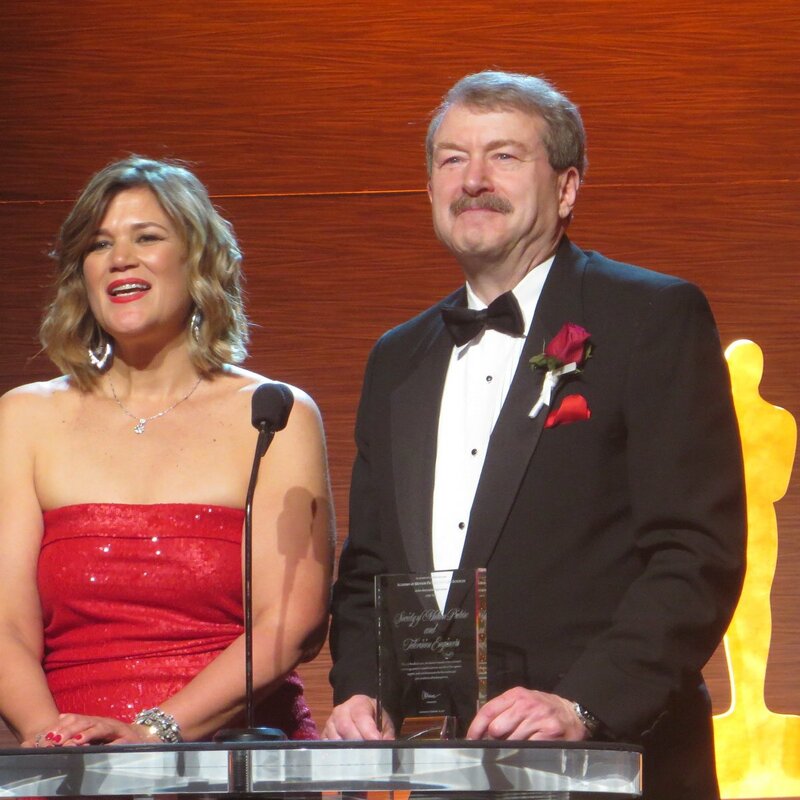 – The Society of Motion Picture and Television Engineers received the final award, a plaque recognizing its 100 years of contributions to film technology standards. 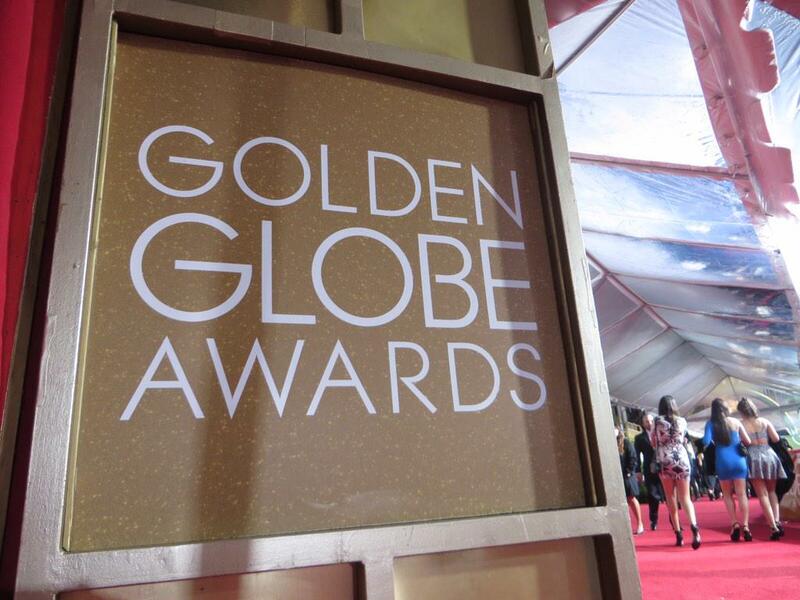 Jason Segel and Olivia Munn hosted the awards show, successfully pronouncing the technical jargon AND speaker names. Thanks to Popular Mechanics, a supporter of this year’s awards. Attendees took pics in a photobooth in the lobby. 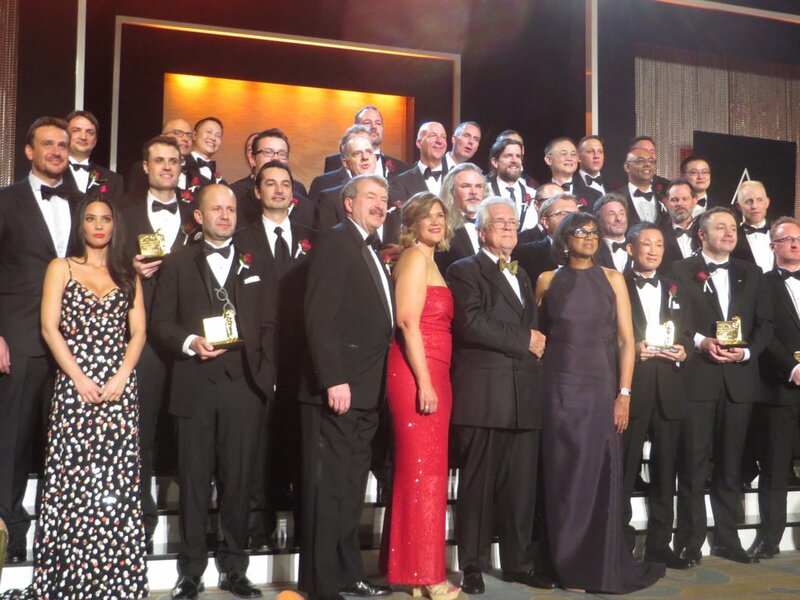 See the complete list of SciTech Award Winners on the Academy Sci-Tech site. 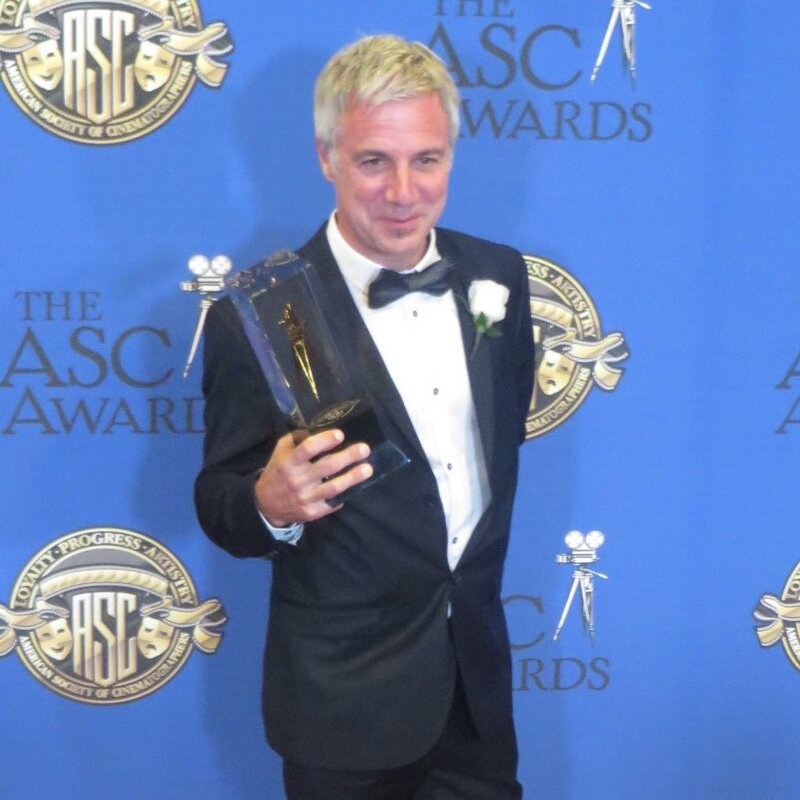 The American Society of Cinematographers celebrated its 30th year of ASC awards recognizing excellence in cinematography at the Hyatt Century City. Digital series by Amazon Studios and Netflix won awards. – Lifetime Achievement Award: John Toll. Credits include Braveheart, Iron Man 3, The Last Samurai, Vanilla Sky, and many more. 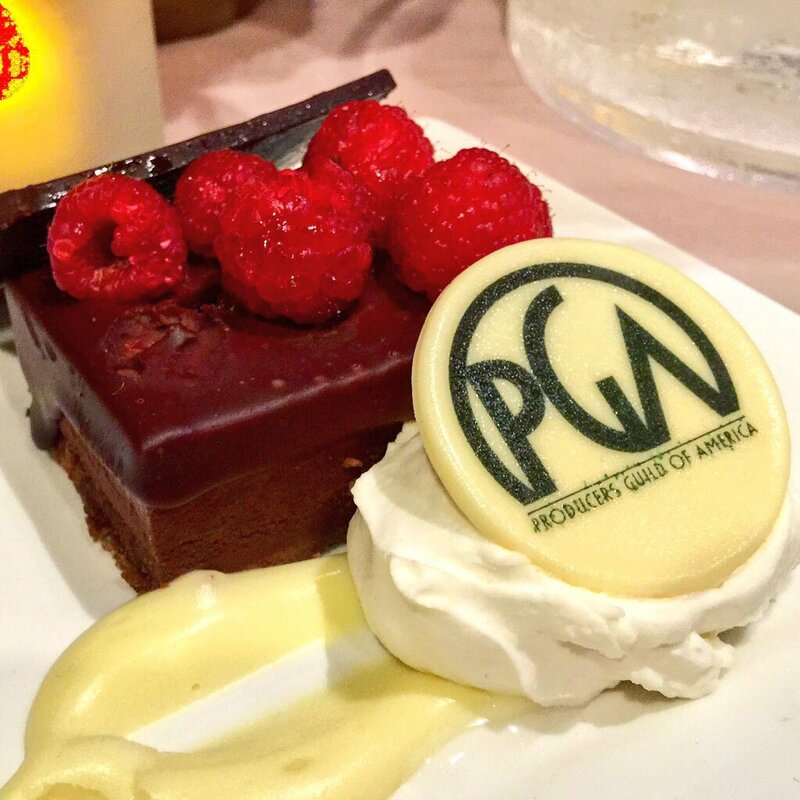 – Career Achievement Award: Lowell Peterson for his work on Jane the Virgin, Desperate Housewives, Six Feet Under. Peterson said that he learned a key to success to learn to light and shoot your actress’ face. 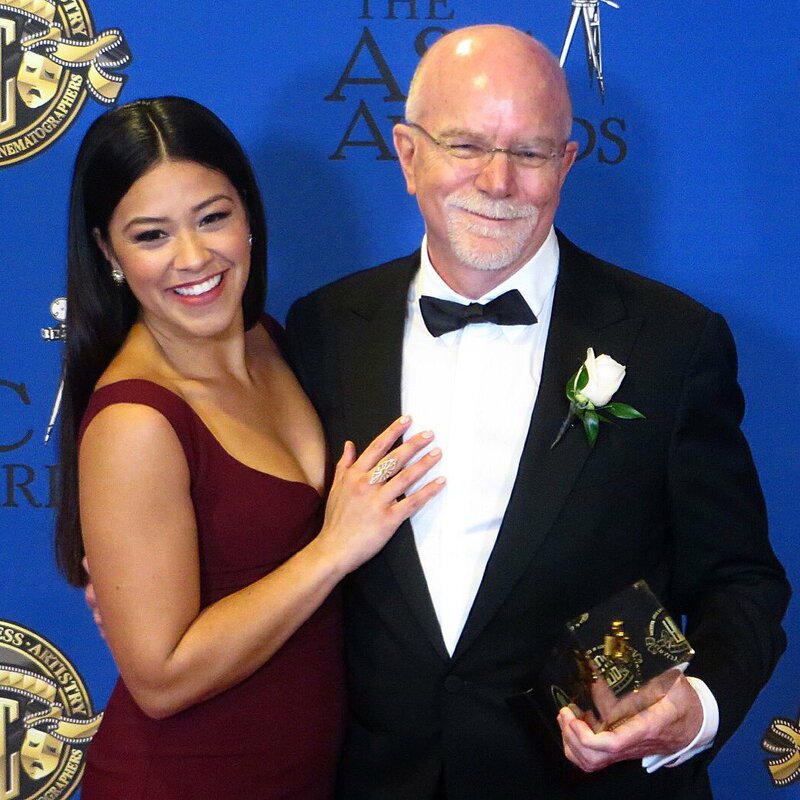 Jane the Virgin star Gina Rodriguez presented him the award. Alex Garland won in the new category First Time Feature Film director for Ex Machina. 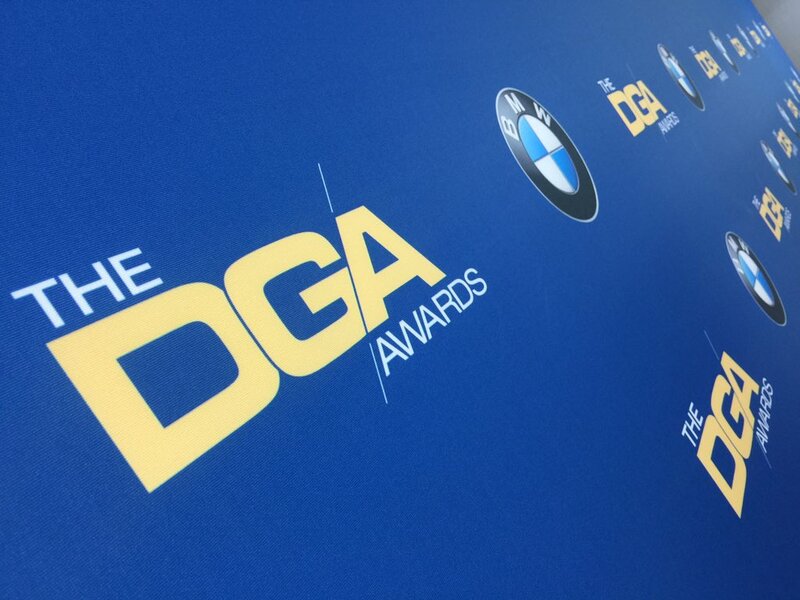 See the complete list of DGA Awards winners on the DGA Awards site. 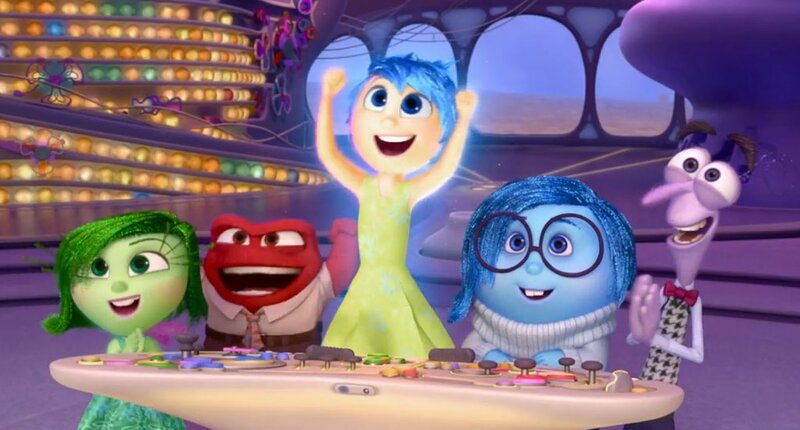 Congrats Inside Out won 10 awards at the Annie Awards for animation at UCLA Royce Hall. The Pixar film swept: best Animated Feature, Directing (Pete Docter), Writing, Editing, Music, Storyboarding, Character Design, Animation, Production Design and Voice Acting (Phyllis Smith – Sadness). 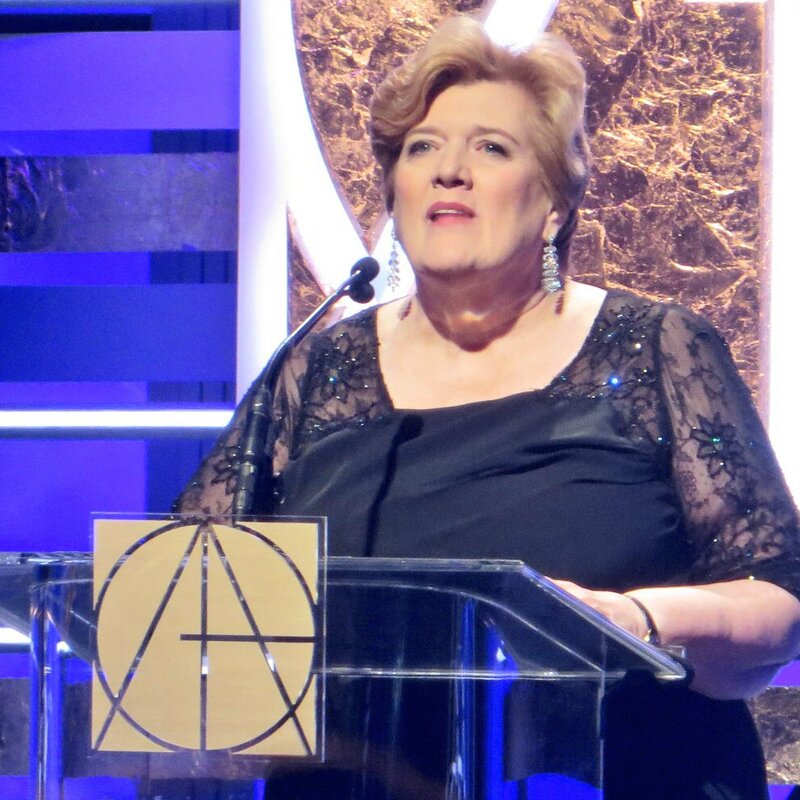 In her acceptance speech, actress Phyllis Smith said that she was cast when the film directors had trouble sleeping one night during casting, and decided to flip thru the TV, and spotted her, and cast her. “I’m so happy you found your Sadness,” she said, thanking them. The Annie Awards are run by ASIFA. 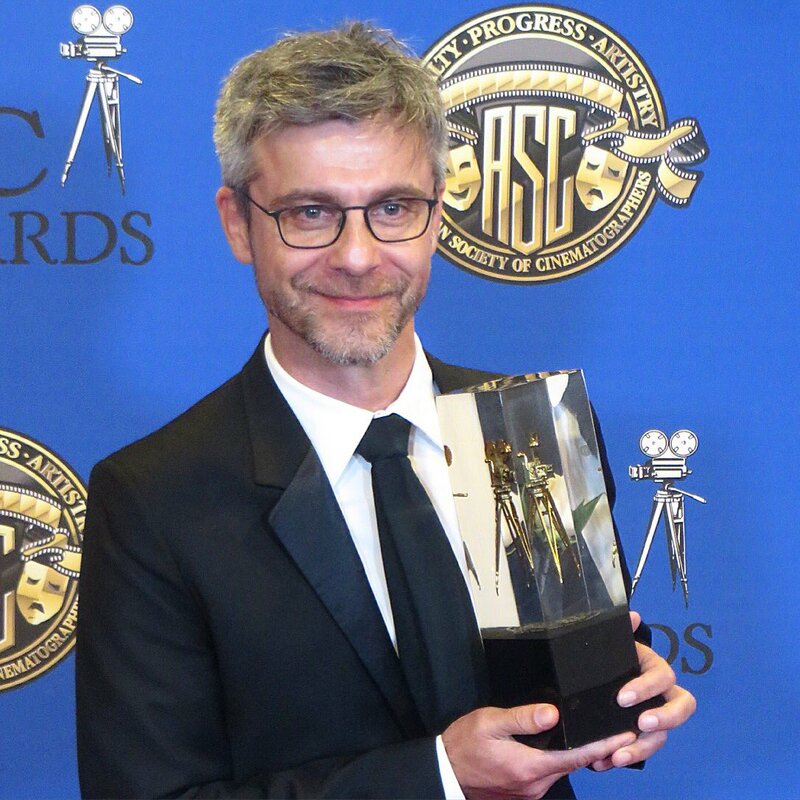 Congrats winners and nominees at the Visual Effects Society Awards! 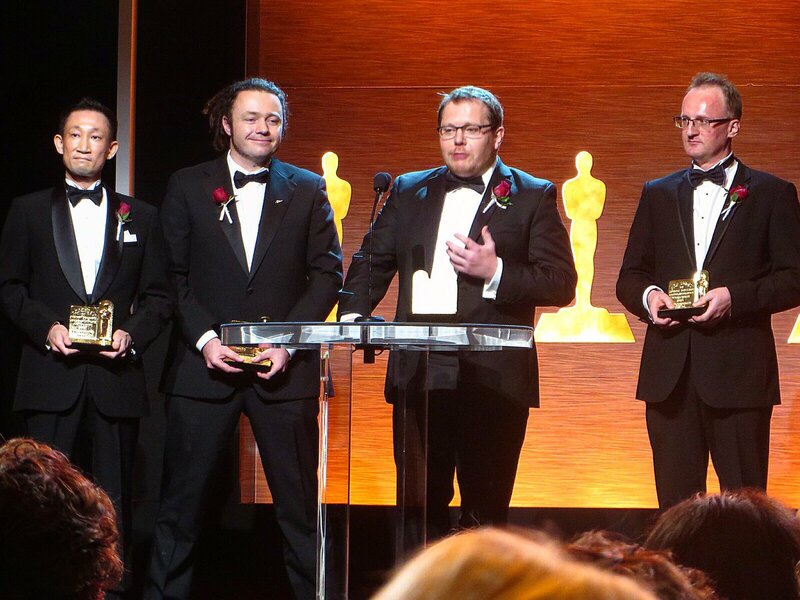 – The Revenant won 3: Bear won Animated Performance, Compositing and Supporting VFX. “It was amazing to suffer on set with you in the cold,” said one of the Revenant awards winners. – Game of Thrones, Mad Max: Fury Road were other winners. 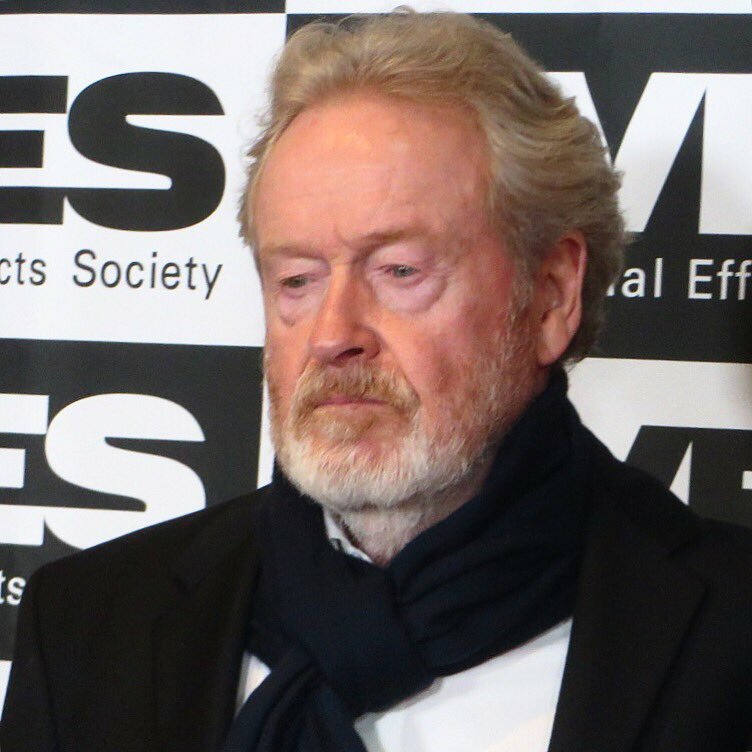 Sir Ridley Scott (Martian, Aliens, Blade Runner) won a Lifetime Achievement Award. “Mathematics and science are art,” he said in his acceptance speech. “When done right, the best (VFX) work is invisible,” said Eric Roth, Executive Director of the VES. 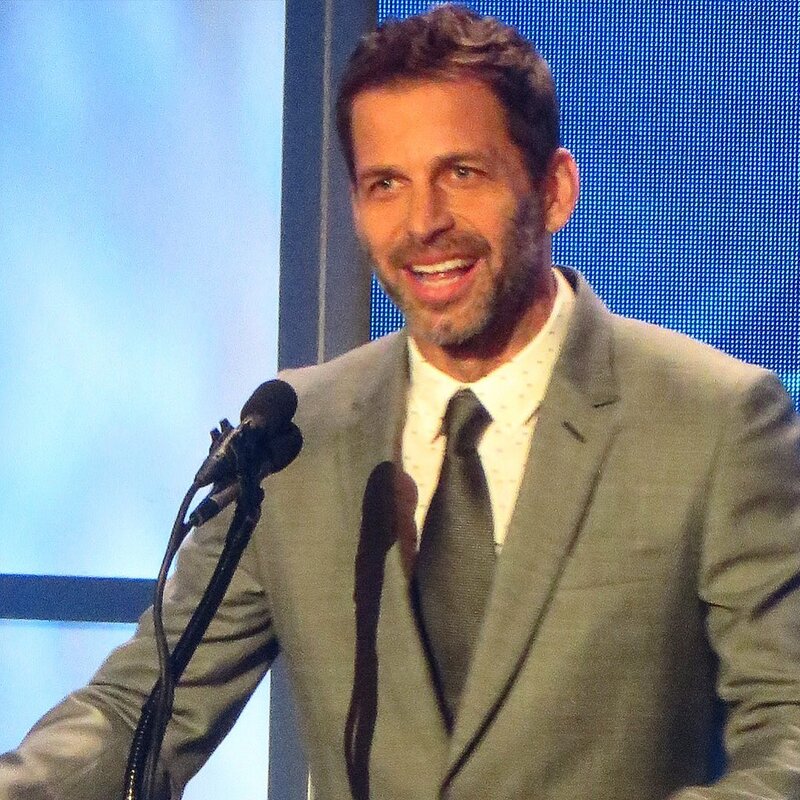 Presenters included Zack Snyder, Terry Crews, Kate Mara, Michael Pena, and several more. 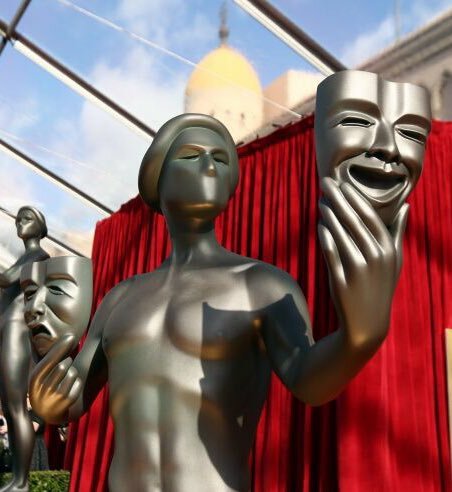 Congrats winners (especially digital) at the Art Directors Guild Awards that recognizes excellence in art direction and production design across film, TV, and other projects. The award trophy has a new look and a new name this year: the Cinemagundi. Bryan Cranston of Breaking Bad (photo right) was a presenter. 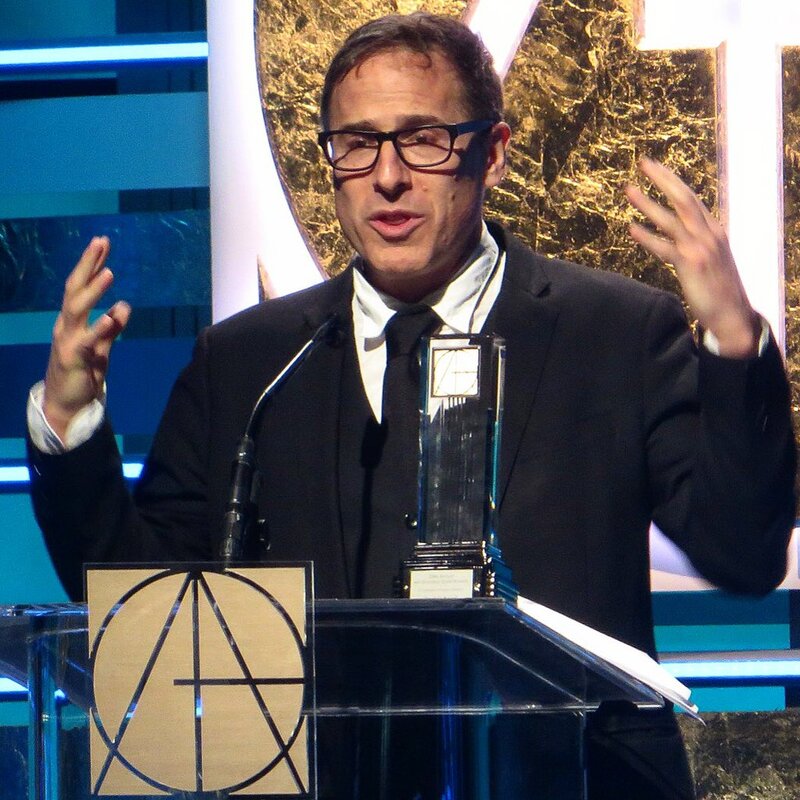 Director David O Russell received the Cinematic Imagery Award, presented by Josh Brolin. In his acceptance speech, David said he loves getting the production design details right for films. He said he watched Gone With The Wind and the Wizard of Oz over and over again to be transported to those worlds, and studied how films set designs are key in storytelling. He said that in filming Silver Linings Playbook, he learned that affluent homes in Pennsylvania where the movie is based have big porches and family portraits with everyone on the front porch. So he made sure to include that in the movie. He loves discovering our humanity in life’s details, and putting these worlds on film to share with the rest of the world. “It’s as important as the script. It just means every thing to me,” Russell said. Comedian Owen Benjamin hosted the awards for the third consecutive year. Like last year, he performed a song he composed about unsung heroes the production designers, singing and playing the piano. Additional presenters included LL Cool J, Jaime Pressly, and Aubrey Plaza. 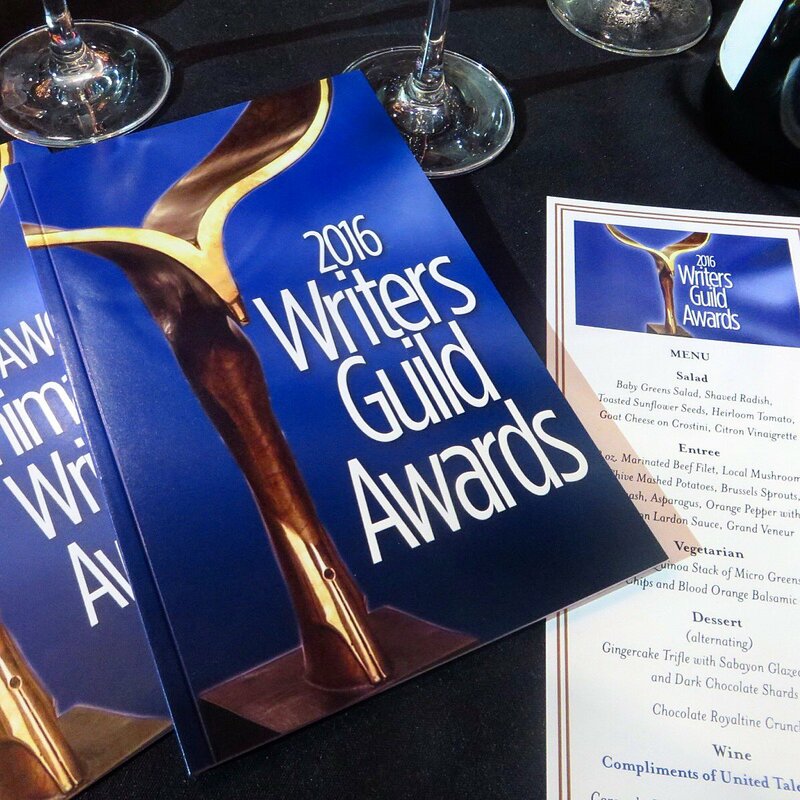 Congrats winners (especially digital) at the awards show that recognizes excellence in editing across film, TV, and other projects. Women won several major awards. – Nancy Meyers won the Golden Eddie, given to a filmmaker beloved by editors. 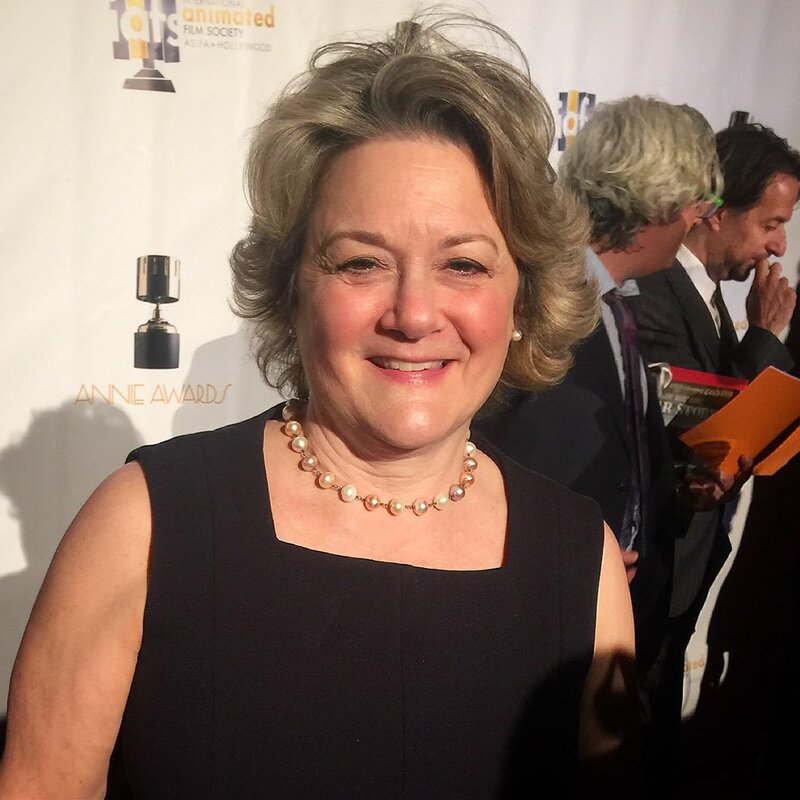 Nancy described how she’s often in the edit room staring at the screens day and night with the editors on films she’s made, including The Intern, Something’s Gotta Give, The Parent Trap, The Holiday, It’s Complicated, What Women Want, and many more. “It’s very unusual in Hollywood to receive an award that doesn’t have the word ‘woman’ on it,” she said, accepting her award with a smile. (photo right). 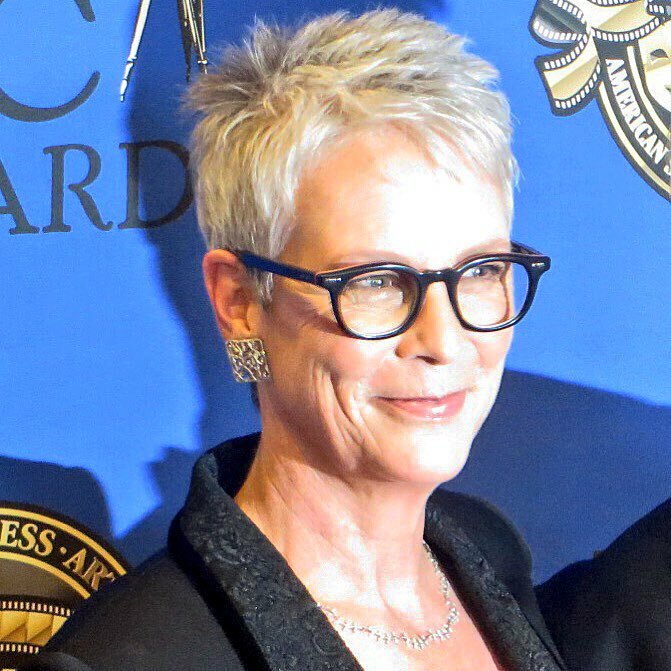 She also traded light banter with Steve Martin, who has starred in several of her movies, and presented her award. – Comedians in Cars Getting Coffee won Digital Series.